The moratorium will remain whether parliament extends is or not. Prime Minister Volodymyr Groysman said the moratorium on the sale of agricultural land in Ukraine is of indefinite duration. 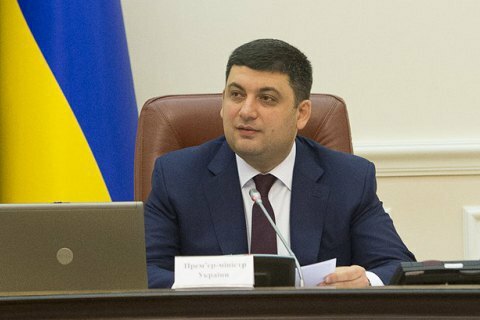 It will be effective until the parliament adopts a law on the land market, Groysman told a cabinet meeting on 5 October. "Without a broad model of the land market in Ukraine. no decisions can be taken on the implementation of the sale of land. I want to emphasize that a moratorium on the ban on the sale of agricultural land in Ukraine is in effect whether parliament extends is or not. It works until the Ukrainian parliament rules on the turnover of land," said the prime minister. Groysman said that there are over 50 models of the land market in the world, and Ukraine will be able to pick one that will protect the interests of all the land owners. The Ministry of Agrarian Policy has said it saw three possible models for the launch of the land market in Ukraine. These are an extension of the moratorium for a long term, provided that the state will take over the obligation to repurchase land plots from those wanting to sell them; the sale of land lease rights; and a phased launch of the land market.